The goodness of micro fine pearls packed in a foundation! 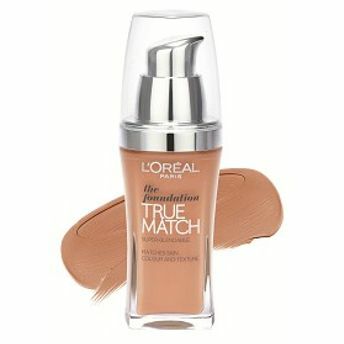 The L'Oreal Paris True Match foundation is developed to give your skin pearl like finish and a natural glow. The precise match technology blends smoothly on rough and patchy skin. It helps cover stubborn marks and uneven skin tone. The foundation is created to give maximum coverage without clogging the pores hence it doesn't harm skin and the chances of acne are reduced. Consists glycerin hence it hydrates the skin. Filled with the goodness of vitamin e.
Non comedogenic and oil free formula. Explore the entire range of Foundation available on Nykaa. Shop more L'Oreal Paris products here.You can browse through the complete world of L'Oreal Paris Foundation .Alternatively, you can also find many more products from the L'Oreal Paris True Match Liquid Foundation range.